country's Left has just resumed. so by having the latter's foreign ministry under its control or influence. country's foreign policy and to choose which nations their former colony would relate with diplomatically.Of course, the treaty also included the onerous military bases agreement and parity rights of the Americans. of the Southeast Asian Treaty Organization (SEATO) in Manila while it opposed moves by the country's Asian neighbors along with Africa and Middle East countries for a non-aligned movement because the nascent group was against all forms of imperialism. Based on the record, among these countries the Philippines earned the label as America's "puppet." durability of military rule was the maintenance of the country's "special ties" with the United States and this task was ably pursued by American's "little brown brother," Carlos P. Romulo. To guarantee continued American support, Romulo pledged the country's support for the U.S. bases' stay and a bonanza of investment incentives for U.S. investors. After Marcos, Romulo was America's spokesperson in Asia who marshaled support for the U.S. armed intervention in Vietnam and support for the use of U.S. bases in the Philippines for air attacks on Hanoi. Support for the war took its peak with the sending of a Philippine Civic Action Group (PHILCAG), a contingent led by a rising military officer, Fidel V. Ramos and Maj. Jose Almonte. "Civic action" was a camouflage for conducting covert operations in Vietnam. In the post-Marcos era, the DFA served as a conduit for aligning the country's economic objectives along U.S. globalization policies under the department's so-called "development" or "economic diplomacy." It supported the renewal of the bases agreement with the United States until a nationwide anti-bases movement moved the Senate to reject its ratification. Instead of respecting international agreements, the foreign affairs department continued to echo America's interests in the region. Consistently, for instance, the department chose to maintain friendlier ties with Taiwan - America's protectorate in the Far East - in violation of the one-China policy. Thus, over the past 50 years, instead of crafting an independent track, the country's foreign secretaries aligned foreign policy with that of the United States under the guise of "special relations." Many other nations that had guarded their sovereignty fervently and set their foreign policy course independently have surged ahead economically with their societies thriving with pride and dignity. They have earned the respect of the international community. When Blas Ople takes over as foreign secretary on July 30, he will be taking over an institution that has served faithfully America's interest even at the expense of the country's own. Well, he will be in a familiar territory. Senate Pro Tempore Ople, 75, takes pride in being an "Amboy" (American boy) although he says that this doesn't mean he's unpatriotic. He has already defined what he says are the "fundamentals" of his term - anchoring the Philippines' foreign policy on "special relations" with the United States - and that he's going to make such ties closer than ever. during the bloody anti-Huk campaign. Ople later joined the Progressive Party of Manuel Manahan who, historical accounts say, had also close connections with the Americans. Ople became Ferdinand Marcos's labor secretary in 1967 and, in 1972, remained in that position when martial law was declared until it collapsed in 1986. He later authored the Labor Code, a sword of Damocles on militant labor because of its onerous pro-management provisions. A turning point in the life of Ople as a bureaucrat was his being instrumental in Marcos's labor export policy. Instead of addressing head-on the country's critical unemployment problem, the dictatorship chose to subject Filipino labor to exploitation by both foreign employers and recruitment agencies. But it earned the government much-need revenues and today these remittances prop up the country's economy constituting some 60 percent of the GDP. As a labor minister, Ople could not hide his complicity with the Marcos dictatorship in suppressing labor militancy. Police and military authorities, international and human rights groups said, were involved in the arrest, prosecution or summary execution of thousands of labor activists and their supporters. Two of the victims of this labor repression were Felixberto Olalia Sr. and Crispin Beltran, both stalwarts of the Kilusang Mayo Uno. Olalia Sr. died after imprisonment while Beltran, who was also incarcerated, is now a Party-list representative under Bayan Muna. Marcos' labor policy also made sure wages were kept indecently low to make labor attractive to foreign investors. Labor strikes were banned and police and military brutality held sway to maintain what Ople called "labor-capital" harmonious relations. 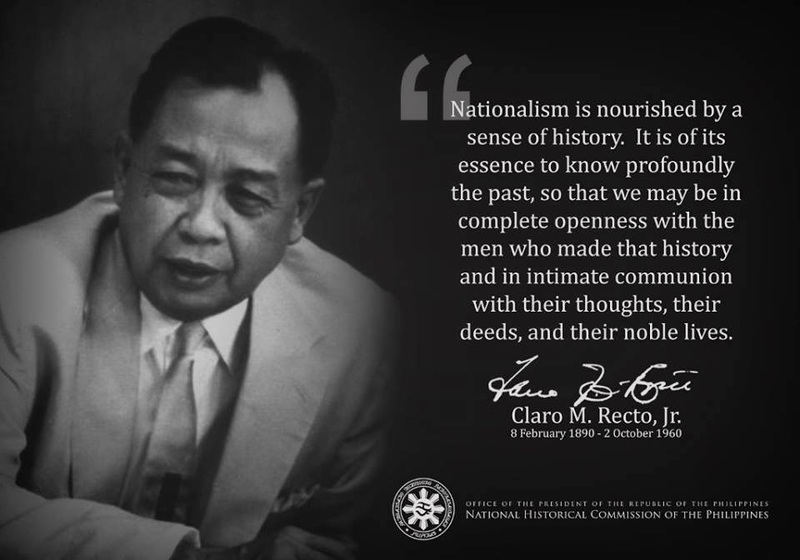 It was also under his helm that the Trade Union Congress of the Philippines (TUCP) enjoyed state support and, through funds coming from the U.S. National Endowment for Democracy (NED) - a CIA front - was used as a model labor federation. (GATT) and, in 1999, actively worked for the ratification of the Visiting Forces Agreement (VFA). The first agreement tied the economy to the U.S.-sponsored globalization - a bane to the country's small producers, workers and peasants - while the second paved the way for the present U.S. armed intervention in the Philippines. With Ople at the foreign affairs helm, the Americans can sleep soundly unlike during Vice President Teofisto Guingona's short-lived term as DFA head. Today, Ople admits that his main focus is to fight "terrorism" implying that his skirmish with the country's Left has just resumed. Ople as an anti-terrorist crusader? He has certainly come of age.